Welcome to my "Available Now" page. 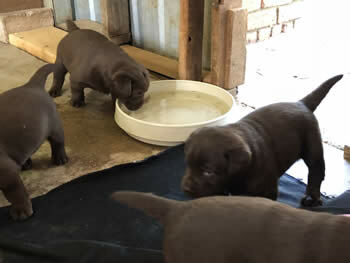 This is the page where I keep updated photo's and progress of the puppies I have on the ground now. I do my best to update photo's weekly, mostly on the weekend. 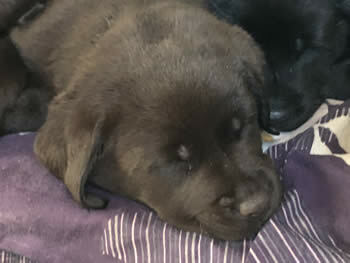 How long will the dog be spending by him/herself a day? Please note: I cannot hold your puppy for you without the $500 deposit being paid. 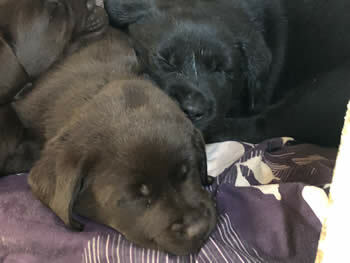 Deposit is not paid until the pups are born. This deposit is completely refundable if there is any change in circumstance. Dogs VIC Member - 31001201160 Please contact Dogs VIC on email: office@dogsvictoria.org.au if you would like to verify my membership. 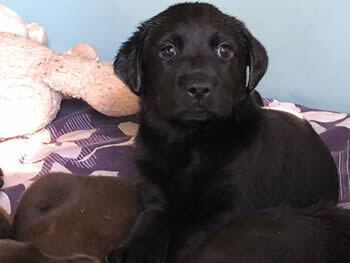 Gypsy and Teddy's puppies were born March 5th and will be ready to go to new homes from April 30th. 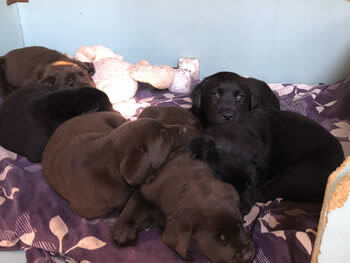 Puppies will be vaccinated and microchipped this Tuesday when they are 6 weeks old. 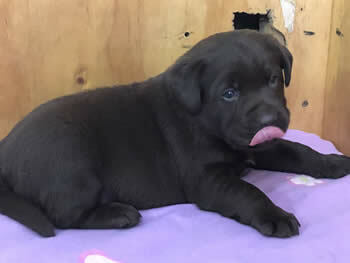 AVAILABLE FOR SALE: 1chocolate male. 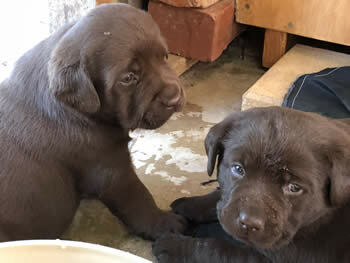 Cookie and Teddy's puppies were born March 19th, 4 boys chocolate boys born. 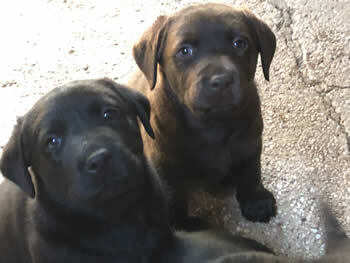 They will be ready to go to new homes from May 14th when they will be 8 weeks old. 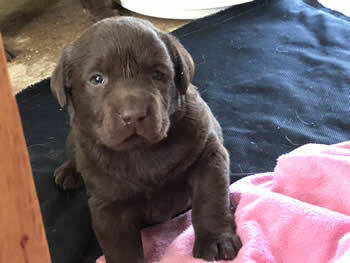 However, I understand most people will not want to pick their pup up till the weekend which will be May 18th. Clemkirk Thursdays Child " Cookie"- Hips: 4/4 Elbows 0/0 DNA EIC Clear, Eyes Clear. 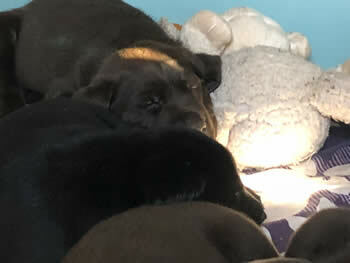 Cookie is a devoted mum and the boys are thriving. They are now enjoying eating the meal that I provide for them.